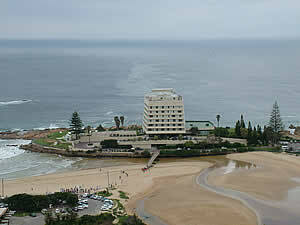 Sunshowers Plett is a four star graded guesthouse that lies on the banks of the Keurbooms Lagoon in Plettenberg Bay. You will never tire of the spectacular views that this guesthouse offers you. Pristinely nestled in the heart of Formosa Bay overlooking the lagoon and ocean with a 180 degree sea-view from the main guest lounge. Laundry service, parking and breakfast on request. All beds are fitted with 100% percale cotton. 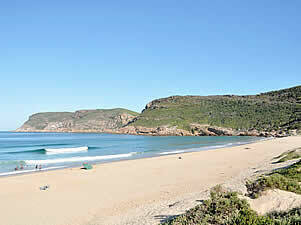 Situated in a quiet residential area, a short stroll to Robberg Beach. Seven individually decorated rooms and a self- catering flat. All en-suite with own entrances ,WiFi , fans and air-con. Dogs and children by arrangement. Off street parking. 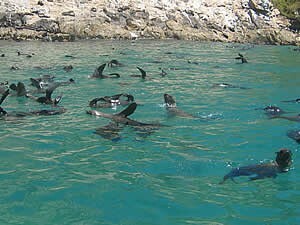 Plettenberg Bay is one of the most dramatic destinations on the Garden Route with its huge sweep of beach sheltered by the peninsula and the near-island of the Robberg. With the spectacular backdrop of the Tsitsikamma Mountains and close to other major Garden Route attractions, Plettenberg Bay is justifiably one of South Africa's top holiday destinations because it has it all. Here you will find all the seaside and inland activities you could wish for plus a good choice of guest house, B&B and self catering accommodation.